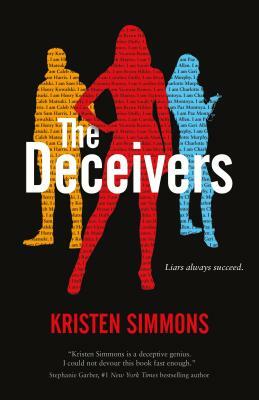 Kristen Simmons, the author of the Article 5 series and Metaltown, brings her remarkable imagination to this intrigue-filled contemporary drama where good kids are needed to do some very bad things in The Deceivers. Kristen Simmons has a master's degree in social work and is an advocate for mental health. She lives with her husband, Jason, and their precious greyhound Rudy in Cincinnati, Ohio. Her popular books include the Article 5 trilogy, The Glass Arrow, and Metaltown.